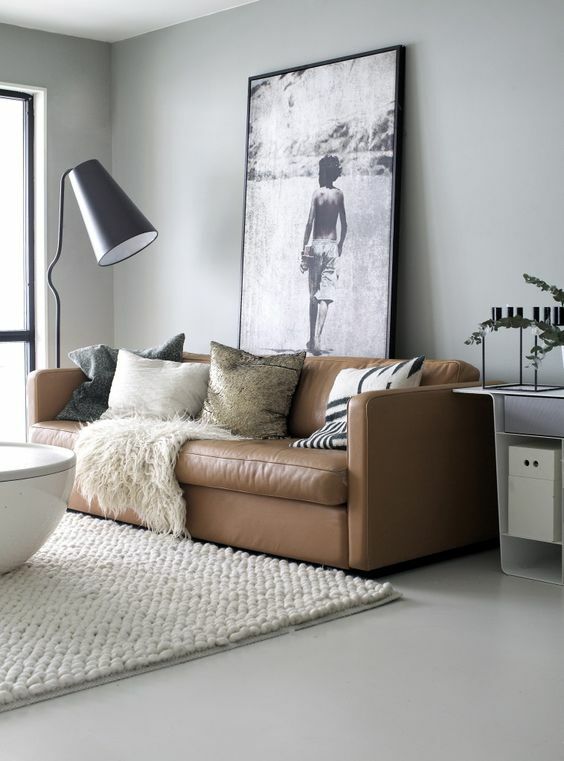 Leather furniture will probably never go out of style. It is classy, stylish and is actually quite durable if taken care of properly. The most important step for maintaining your leather upholstery is to properly identify the type of leather it is made of. Unfinished leather or pure aniline leather as it is also called is soft and feels luxurious at a touch. Dyed with an aniline dye, this type of leather upholstery rarely has a protective sealing or coating, and so it develops a patina and natural markings, as well as the leather grains, are visible. It is more expensive than other types of coat protected leather but unfortunately is more prone to staining and marking as well. Nubuck leather and pull-up leather also fall into this category and have a velvet-like, soft feel. This type of leather is more commonly used to make upholstered furniture. The label usually contains pigmented leather, semi aniline or aniline with added pigment. The semi aniline leather upholstery has a soft feel like the unprotected one but is more durable and less prone to staining and soiling. Leather which is protected with a polymer or thick layers of pigment is stiffer to the touch but will endure more wear and tear over time. 1. Use a vacuum cleaner and a brush attachment to hover your leather furniture thoroughly and yet gentle enough so as not to damage the upholstery. 2. Remember to always perform a test on a hidden small spot on your leather upholstery with the solution you are planning to use to see if there is a negative reaction before proceeding to clean it. 3. If the manufacturer of your furniture has any specific instructions and requirements for cleaning – always follow them. 4. To wash unprotected leather furniture use a soft white microfiber cloth dipped in a mixture of distilled water and pH neutral mild detergent or soap. Carefully wash the upholstery without oversaturating it. After that proceed to rinse it with distilled water only using again a soft microfiber cloth. 4. Protected leather can be cleaned with stronger leather cleaning detergents. 5. Dry the furniture with a dry clean cloth or towel. 6. Always use leather conditioner, or a homemade conditioner made of olive or coconut oil to treat your cleaned leather. Since leather is a natural material, it will dry up and can crack or become flaked if it is not conditioned after being treated with water.